"So first things first, we have someone joining us for today's Companions of the Silver Apple we welcome Tharg, the drunk Orc of WaagWuWak." "No its WU WAK WU...Get it right little human." "Right, what you said. 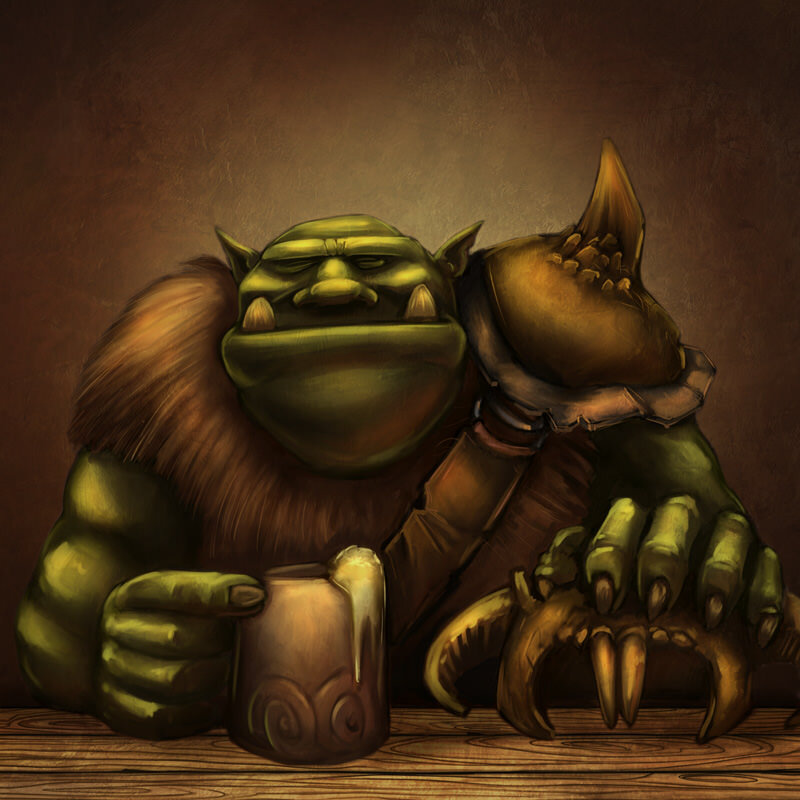 Tharg is going to help give us perspective from an Orc, a very drunk, insane Orc." "This is where I like to tell the folks about what happened last time. " "Glurg glurg Waa? You say something? Did you get to part where the puny humans die?" The Companions rescued a Griffin Knight from the bowels of a goblin cave. However, they were unable to locate the kidnapped Gundren Rockseeker who was taken to a new location. 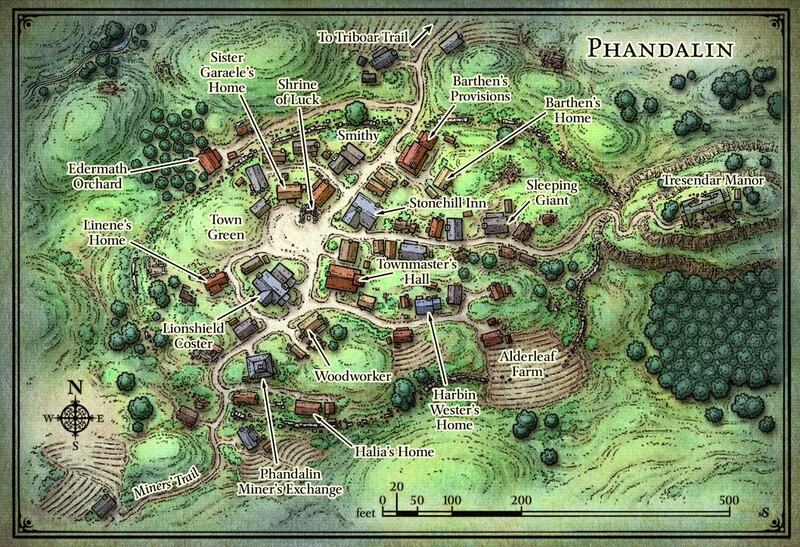 The Companions now enter the town of Phandalin in the hopes of regrouping and gaining intel. The companions emerged from the Triboar trail into the small town of Phandallin. "We must find Gunderen", Sildar said, "I will help you however I can. I do have some sources in town that might be useful." As they entered the town Sildar departed said he would run ahead toward the Stonehill Inn to gather information. "Do they have mead there" Percy asked. Everyone turned and shook their head as they headed into what appeared to be a rough and tumble mining town. While the party wanted to fully rest of their adventure in the goblin cavern they could not help but feel something was very wrong in Phandalin and each kept their hands close to their weapons. Something was not right. Most of the buildings small and squat. A low mostly ruined wall went around the town. The wall went far beyond the buildings there indicating it was once home to a much larger town. On a crest looming above the town was a large manor. The town was fully of furtive people, snatching glances behind doors and windows. Darting between buildings. 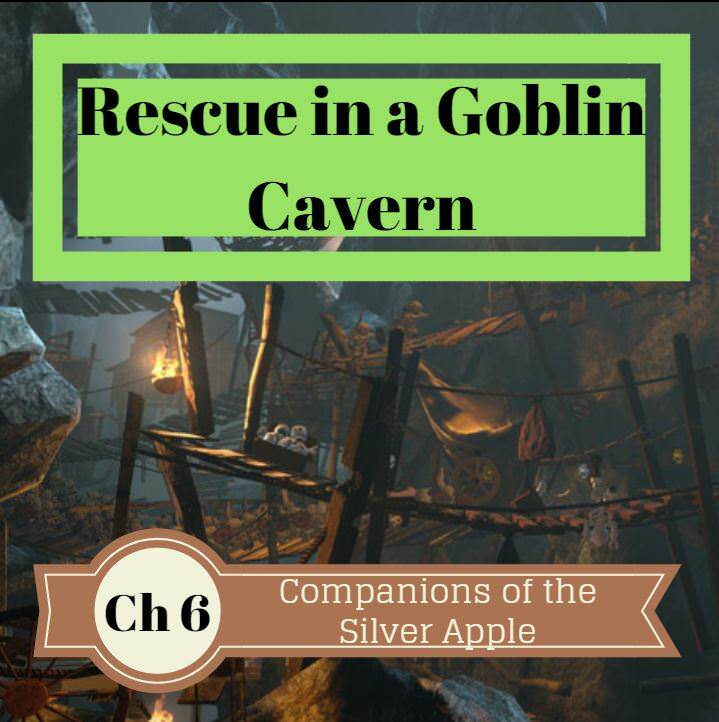 One the outskirts of town the Companions came across a burnt building and a weary elf was digging what appeared to be a grave for a wrapped up body. "We should talk to him" Percy opined. 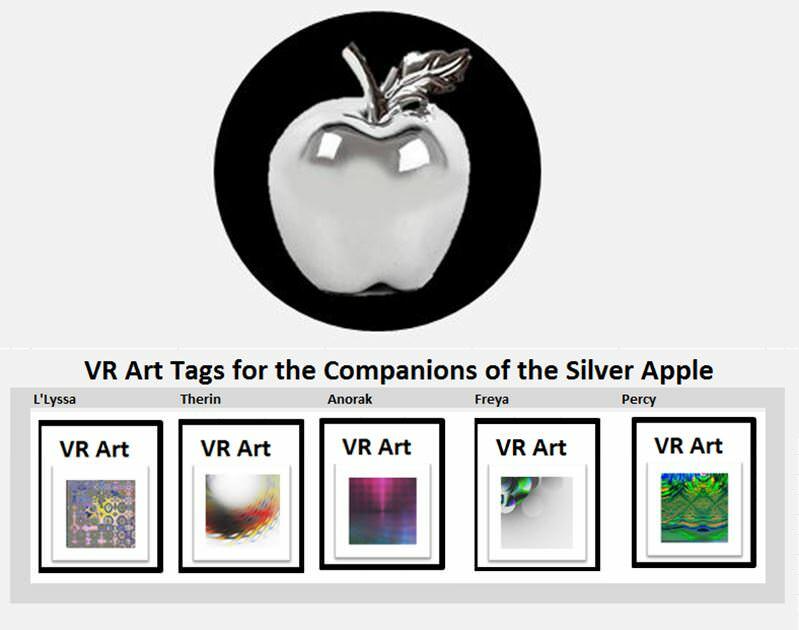 The group talked to the silver haired Elf introduced himself as Daran Edermath. He was burying his friend, Fizbang, formerly the local wizard of the town. 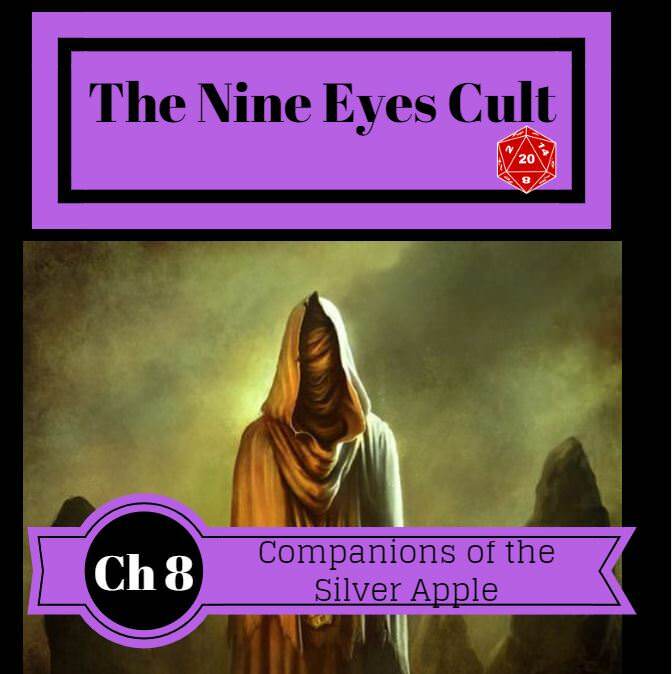 He told the party that the local town had been corrupted by a group of brigands called the Red Brands, and an Anti Magic cult called the Nine Eyes had been roaming the countryside attacking magic users. "Yesterday, the Nine Eyes became more brazen, they came into town and burned our wizard in his own shop. No one stopped them." Daran looked sadly upon the body before resuming digging. "Not sure who you folks are, you look like adventurers. If you are brave enough the head of the cult is in a place called Old Owl Well. They say they are digging there, into ruins. I don't know what they are looking for, but it can not be good." "We may do that" Anorak said,noncommittally. The companions continued their walk passing the burnt of the magic store on their way to the Stone Hill Inn. "Crazy Cultists I like this place" Percy said grinning murderousily. The large warrior often grinned Murdereousily. The party went to the Stone Hill Inn. Along the way they saw villagers uneasily peaking out from behind shutters in small homes. The streets were mostly empty except for a few warriors drunkenly, laughing in front of a different bar called the Sleeping Giant. Anorak noticed all of these men wore a crude red cloak. Likely a symbol. Anorak realized these men were likely part of the brigands that Daran had called the Red Brands. The party managed to get the Inn without any further encounters but the streets felt tense. In the Inn, they met back up with Sildar whose face looked grave. "I am afraid my friend that I planned to meet up with Iarno has gone missing. No one knows where he is. What's worse this town seems to be controlled by a corrupt townmaster who has allowed brigands and cult to run it." Anorak informed Sildar on their encounter with Daran and the death of the local wizard. "Hideous. friends you must continue your quest to find Gundren but I am going to set up shop here. There may be still be some good villagers in this town that we can use to bring a semblance of order to it. Leave that to me. For now lets get some sleep." The party was exausted and all went to sleep in one of the Inn's rooms. They all happily looked forward to coozy beds. However, that sleep at least for one of the party members was about to be interupted. "Ahhh Is this the one where goblins come and kill the Humans"
"No Tharg but this is a very exciting part, one of them is going to meet a god. " "Meh human gods are boring, no smashing, no crushing, no drinking, no farting"
"NO Humans hopeless, and....... tasty." Anorak being a high elf did not need sleep in the sense that his other companions did. Instead he rested in a meditative state. His meditation was interupted by a bizarre, pulsing sound. That sounded like a mixture of a thunder and a heart beat. Startled he saw lines of blue energy sprawl out, and flash with the primordial rythme of the sound. The energy lines seemed to outline the world, and one line that ended at Anorak's feet began to flash with white light. It led out of his room. 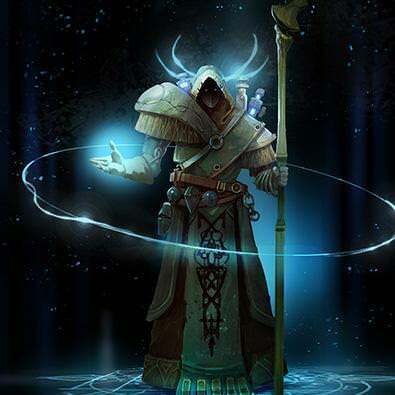 The High Elf was not given a chance to choose whether he followed it or not, instead he felt summoned, and pulled out of his room by the pulsing white energy. 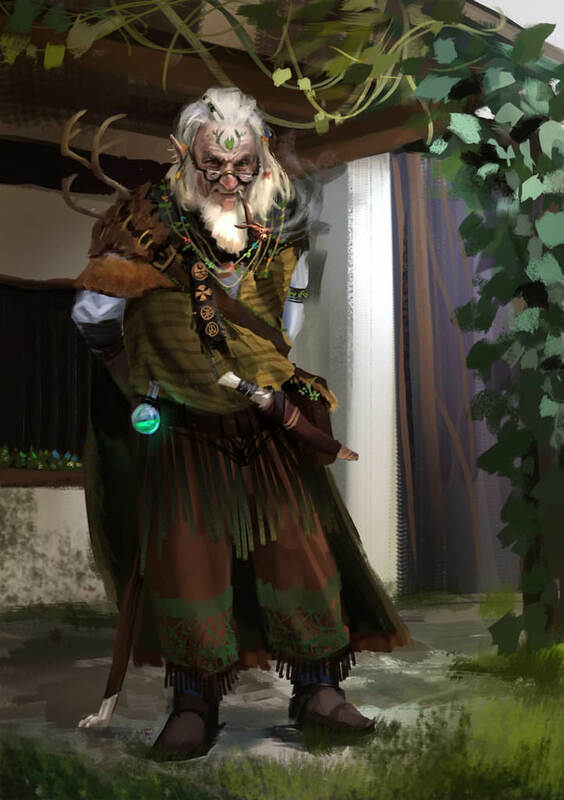 He walked out of his room, out of the Inn, and into the dirt street of Phandallin until he comes to the burned out ruin of the towns former Wizard. There a wizard with a large staff stands resplendent in a gold cloak. His siluette glowing in coils of magical power. The golden wizard, seemed to be poking the ashes of the store in solemn contemplation. The Wizard turned toward Anorak, revealing his face a mask of golden metal and eyes that were filled with infinite blackness of the void. A powerful, clear, and disarmlying handsome voice cut through the night, seemingly entirely unhindered by the mask. "You are late, Anorak." He did not wait for a response from the baffled high elf. "I am Azuth, god of wizards, former servant of Mystra. After recent events I am now in service to your god, Ooghma. Events have occured on the divine planes that even I do not understand. Some how, in ways that are still not clear the god of Maddness Cyric managed to slay Mystra goddess of Magic. This caused the Spell Weave to begin to unravel, but with his power Ooghma has managed to hold it together. While Ooghma has held the weave together it has come at great cost to himself and the god of Maddness has been left to spread the disease of insanity all across Faerun. Things have looked grimm but then a sudden spark lit up the darkness. You happened. Your party somehow sparked an outpouring of faith toward Mystra and she recreated herself. Her presence still seems weak, and is tied to your marked companion. That friend of yours I do not trust but, she is now the most important person standing between our world an utter maddness. Do not think this has gone unnoticed. Cyrric felt the rebirth of Mystra as well. In response he has marked his own champion who now hunts you." "Who is this Champion? Can we beat them?" 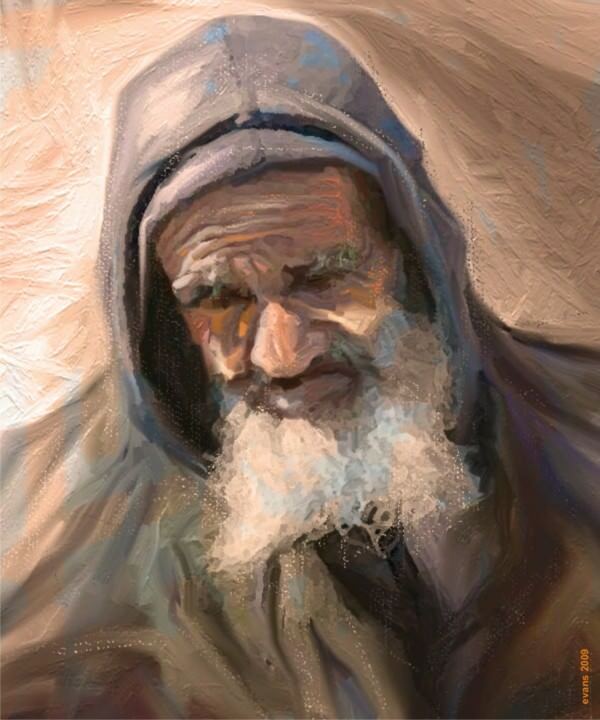 The eyes of the Wizard god looked upon Anorak with special coldness. "Other heroes, may stand a chance, but your group. So young. No. You can not beat the Champion. The Champion is a Minotaur gladiator named Apex, he is maniacial psychopath unbeaten in a thousand battles. Cyrric has given an ability to him of undeath. You need to run from him, protect your friend for as long as possible. For now focus your energy on rebuilding Mystra. I have some suggestions, rebuild this shop into a shrine of Mystra, defeath the local leaders of the Nine Eyes Cult at the Old Owl Well. Whatever he is up to will benefit Cyrric, stop him." The golden wizard turned and began walking away, with each step he began to fade. Anorak rushed forward with one last question. "Is there anything you have that might help us." The Wizard god snorted. 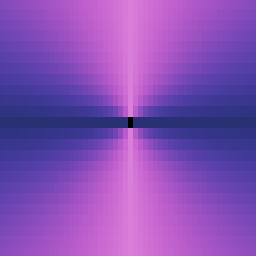 "Dig beneath the X." With that the god of Wizards was gone. Anorak began thinking about the "Dig beneath the X" as if it was a riddle but suddenly realized there was an X drawn into the ashes of the shop. He began diggling, 3 ft down into the ruin he found a box. 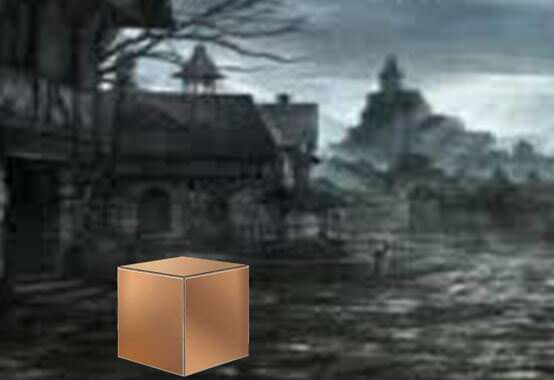 The box appeared to be made of pure copper, entirely smooth on everyside without any symbols He did not recognize it from any of his arcane training. "Ooooo Tharg likes boxes, always surprising. 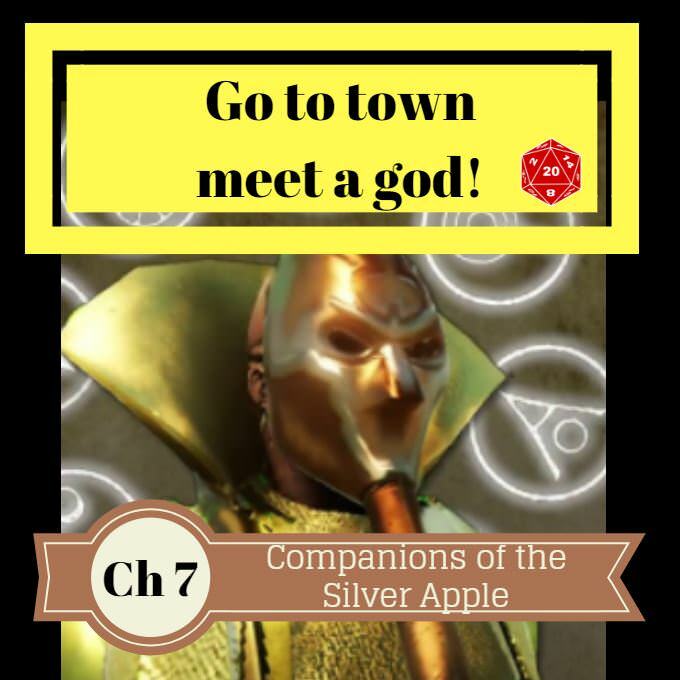 Sometimes gold, sometimes magic, sometimes Chickens"
"Tune in next time, to see the Companions take on the Nine Eyes Cult, and perhaps learn the mystery of the Copper Box. And whether it holds a Chicken! I really hope it holds something better than a chicken." "Nothing is better than chicken." 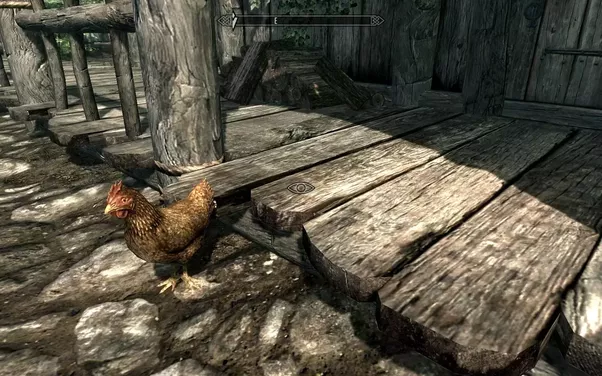 "You know, its normally not a good idea to hurt chickens in fantasy worlds, there always seems to be outrageous consquences"
"Hurt a chicken?!?! What kind of vicious human are you? Thrak no hurt chickens, Tharg and Chickens are friends...."
Here is the piece called "Go To Town meet a god"